“I use my voice is to really frame my message in hard economic terms, not necessarily coming purely from a moral standpoint that’s it’s the right thing to do, but it’s also the smart thing to do.” Julie Reilly, Australian Women Donors Network. 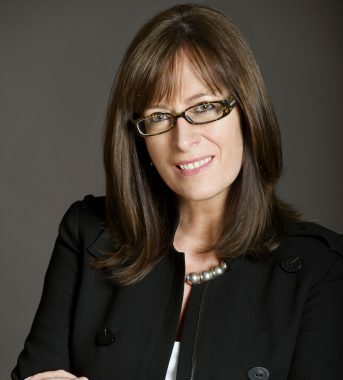 Julie Reilly is one of the most important voices in contemporary Australian philanthropy. 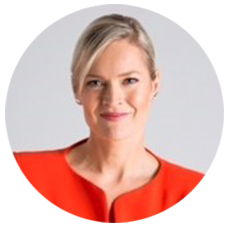 She is CEO of the Australian Women Donors Network, an impactful not-for-profit which unleashes the potential of women and girls. Having known and worked with this compassionate woman for many years, I can vouch for her desire to create a world where women and girls are valued. Among her many accomplishments, she is also very proud mum to two beautiful daughters. Martine Harte: Julie Reilly how does the Women Donors Network influence change? Julie Reilly Australian Women Donors Network: We have a duality about what we do. Firstly, it’s about building and supporting the donor community that will invest in women and girls. We recognise that the whole system needs to change if women are to benefit from any sort of funding. Philanthropy is our focus; money from private donors, from high net wealth philanthropists and from institutional trusts and foundations that we’re trying to influence, to including corporate foundations. We’ve recognised that unconscious bias plays a big role in funding decisions. So what we’ve seen is unless grant applications actually include questions that specifically ask people to do a gender analysis, unless they state specifically how a program or a service might be adapted and designed in a way that accommodates the different needs of girls and women, the research tells us women will be underserved and miss out. Really? So gender comes into every issue? Julie Reilly: So we’d be saying to people who are funding, to get better impacts on your dollar, (whether it’s in mental health, political research, education, homelessness) that because of the way we are constrained by gender norms, unless you see gender was part of the solution you are not going to get the best impact. How much of the philanthropy pie do women and girls attract? Julie Reilly: To be honest Martine we don’t know for sure, because the data is not very reliable but our best guess is at most 12% of philanthropic funding would go to projects focussed on women. That’s not to say that in the remaining 88% women don’t get a benefit from other projects. If we took the example of Indigenous youth, to keep them engaged at school, very often the program is a sports program such as an AFL Football program. It is not necessarily designed and delivered in a way that recognises some of the girls may not want to play footy with the guys. The Smith Family do take a gender lens to their programs, they’ve actually developed a program specifically for Indigenous girls which is really an arts-based program. It’s about recognising what’s going to work. Because it’s often despite our best intentions that unconscious bias permeates the world? I’m sure the people developing the Indigenous program weren’t trying to deliberating exclude girls? Julie Reilly: You are absolutely right and that’s our starting base. We come from a position that people involved in philanthropy want to make the world a better place, they want to overcome disadvantage and they want high impact from the dollars they invest. So gender wise philanthropy is often about recognising inequality, not by treating people in the same way but by treating them in a way that addresses the disadvantage. You are a niche program, so what can the rest of us do to help? Julie Reilly: As consumers, in every transaction we can bring women into focus. For example; when buying a car ask, “Has this been tested for me as well as my husband?” That’s a very powerful way your readers can influence change. Our hope is we can take a change-program more broadly into corporate Australia and to government. Is there one act of philanthropy which warms our heart and you often reflect upon? Yes, the example about using the gender-wise guide in relation to The Big Issue. The Big Issue is the program that was introduced into Australia twenty years ago, it was designed to give employment, dignity, social connection to people who are on the margins of society. Often unemployed people. It was never intended to be a male-only program, but for reasons which perhaps weren’t initially considered a lot of women were in that situation because they were escaping domestic violence. Domestic violence is the main driver of homelessness. The notion that these women would stand in the middle of Bourke St, or Martin Place, when they were hiding from a violent partner simply didn’t work. Issues around safety, child minding, meant that the majority of people selling The Big Issue were men. The people behind The Big Issue responded by crafting a program which took account of their different needs and introduced the women’s subscription. That way women could use the phone to sell subscriptions to corporates, and on other platforms which allowed them to be less exposed. That’s brilliant! Your background spans media, government and the social sector – what is your greatest learning when it comes to elevating your voice? Julie Reilly: Often I think women speak from the heart and I think there’s a lot of power in that yet some of the minds we are trying to open see things differently. They are often men who are the boards of large companies, who may have come through when unconscious bias wasn’t on the agenda. I reiterate they have absolutely good intentions, but maybe for generational reasons they may not see things through the gender lens. So the way I use my voice is to really frame my message in hard economic terms, not necessarily coming purely from a moral standpoint that’s it’s the right thing to do but it’s also the smart thing to do. That’s really impactful. Great advice! Julie Reilly: On a personal level, I think it’s actually taken me quite some time to really have a deeper confidence to speak with authority. I think a lot of that is intrinsic to women who are often less encouraged by society to really have our voice heard. It has definitely become easier with experience. Julie is also co-producer of the Myer Spirit of Christmas CD with her talented musician husband Lindsay Field which has raised more than 7.5 million dollars for charity. You can find the CD at Myer and other outlets. Tagged in Eve Mahlab, Gender-wise Philanthropy, philanthropy, The Big Issue, Women Donors Network, Women of Influence.